I always hate throwing out a beautiful bouquet of flowers when they've passed their prime. I used to dry them and put them in vases, but it feels a little hoarder-ish to have a bunch of dust collecting dried flowers around your house. 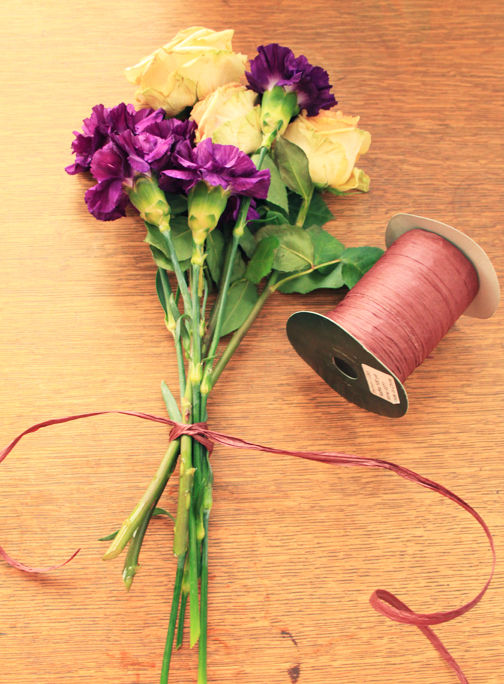 Here is a great way to up-cycle your next bouquet of flowers into a stylish gift box topper. First, tie a few of the flowers together. Then hang them from a curtain rod and allow them to dry in the window for about 7 days. When they are dry, tie them to the top of a gift with some ribbon and accept many compliments on your creative gift wrapping technique.